On the windy, southern shores of Lake Erie, lays a unique city, unlike most communities throughout Ohio. The juxtaposition throughout the city is exquisite. The skyline of a once thriving steel mill against the backdrop of the Black River is intriguingly beautiful. The magnificent sunset against the western end of Lake Erie coupled with a distressed downtown that is awaiting its renaissance. The citizens of Lorain have undoubtedly experienced the stress brought upon by the deindustrialization of the Midwest; the closure of automotive assembly plants, steel production facilities, and shipbuilding yards have negatively impacted the local economy. However, struggle is not tethered to the city of Lorain, and many midwestern cities have similar stories to tell. It will take time to rebound from this economic downturn. But, within this uncertainty, the citizens of Lorain remain resolved to take back their community. So how does this once quintessential midwestern city rebound after job loss? A considerable area of investment to rebuilding this city seems clear to me: sustainability. Our focus should be on the protection of natural resources, implementation of sustainable policies, and investment in renewable energy. In Lorain, we have focused heavily on protecting natural resources over the past decade. City leaders have emphasized Lake Erie and the Black River protections through grant dollars obtained through the American Recovery and Reinvestment Act, National Oceanic & Atmospheric Administration, Ohio EPA, US EPA, and the Great Lakes Restoration Initiative. Wetlands are being restored and built behind our steel mill. Fish shelves are being installed along the banks of the river and in our marinas. Through a US Fish and Wildlife Service grant, 450 native trees and shrubs were planted during riparian habitat restoration. Invasive species are being removed to create a healthier corridor along the Black River. 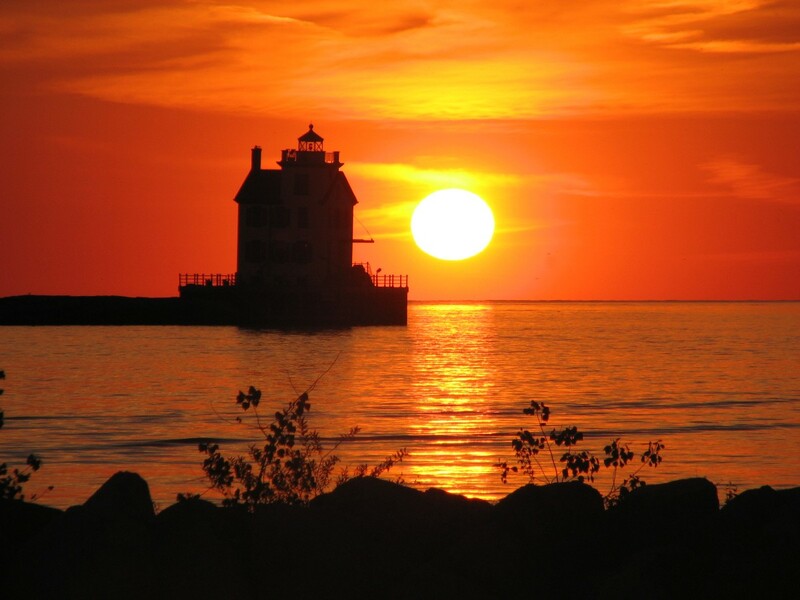 Lorain is continually protecting its natural resources. This process is not easy, and requires intense coordination and cooperation. The City of Lorain works with the Lorain County Community Development, the Lorain Port Authority, the Lorain Stormwater Management District, the Ohio EPA, Coldwater Consulting, the Lorain County General Health District, along with a number of small organizations, to see these projects though. These collaborative efforts are undoubtedly moving this city forward. Sustainable policies and practices are being implemented in the city as well. Slowly, but surely, the city is looking for opportunities to lower energy costs to save consumers money. I’ve seen this first hand during a tour of Lorain’s water facilities, where investment is taking place. I joined a tour of the Lorain Water Purification Plant with some of my colleagues at the OEC last month, and we were told that the entire facility had recently undergone an energy audit with the help of the Ohio EPA. The result was a complete switchover from traditional lighting, to LED products. The return on investment was quick, because within a year’s time, the site saw savings equalling the initial cost. The Wastewater plant will soon be taking part in this effort and additionally will be lowering its energy costs by installing variable frequency drives (VFDs) on their blowers which will dramatically lower energy consumption at their plant. Lorain is rebounding, and will continue to do so with a new focus on sustainability. I plan on working with current and future administrations to ensure that the City of Lorain becomes a leader in conservation practices, outdoor recreation, and energy efficiency. The city is already taking advantage of blossoming and long-standing partnerships, but they should look to foster additional relationships that will encourage further investment in the three aforementioned areas of sustainability. Lorain can become northern Ohio’s clean energy capital. We can move toward a cleaner, healthier, and more prosperous future. Toledo is the Glass City, Sandusky has its amusement parks, and Cleveland is a regional medical hub. Lorain was once the Steel City, but that moniker has since been retired. City leaders should focus on turning the page and creating a new identity.